Ridley Scott's 'ALIEN' Prequel = 'ALIEN HARVEST'? Ridley Scott's Alien Prequel. Three Inch Aliens? Hand to hand combat between a man and a Cat Alien? Homosexual Encounters? ...all in 3D? Hit the jump for the details. With the continued speculation that a leaked script titled 'Alien Harvest' allegedly penned from Alien prequel hired writer Jon Spaihts currently circulating the web for the previous four months & no official response or denial from Fox.. rumors are surfacing that this may in fact be a legit early draft. The film will be a direct prequel to Scott's original 1979 film. In a 2002 interview, Scott stated he wanted to return “to where the alien creatures were first found and explain how they were created.” Spaihts successfully pitched the studio and Scott's production company Scott Free. Although he has no produced credits, but has written Shadow 19 & Passengers, both of which are also sci-fi space thrillers. To date Spaihts has not commented on nor denied his involvement with Alien Harvest. Star Wars & Alien art-director Roger Christian has confirmed with /Film that Scott’s upcoming Alien prequel will be shot in 3D. Scott recently stated: "It’s a brand new box of tricks. We know what the road map is, and the screenplay is now being put on paper. The prequel will be a while ago. It’s very difficult to put a year on Alien, but [for example] if Alien was towards the end of this century, then the prequel story will take place thirty years prior." … "I never thought I’d look forward to a sequel but a prequel is kind of interesting. I’m looking forward to doing that." 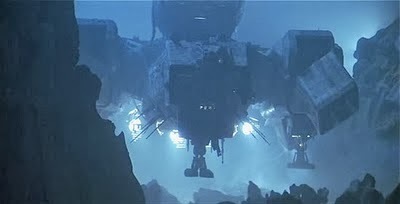 I'm reading: Ridley Scott's 'ALIEN' Prequel = 'ALIEN HARVEST'?Tweet this!